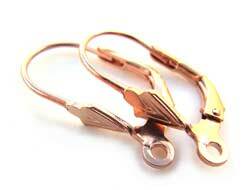 Bali Gold Vermeil products are produced using Sterling Silver, which is plated with 3 microns of gold. The first layer is 18 kt gold and second layer is 24 kt gold. 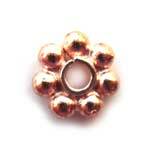 Bali Rose Gold Vermeil has a lovely warm flash of pink colour and is a cheaper alternative to solid rose gold beads and findings. 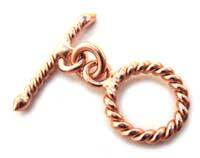 If an item is out of stock here, please check out the Thai Rose Gold Vermeil Catalogue, where some items are identical but made in Thailand.